Answer "How do I feed my australian shepherd puppy?" This "How do I feed my australian shepherd puppy?" 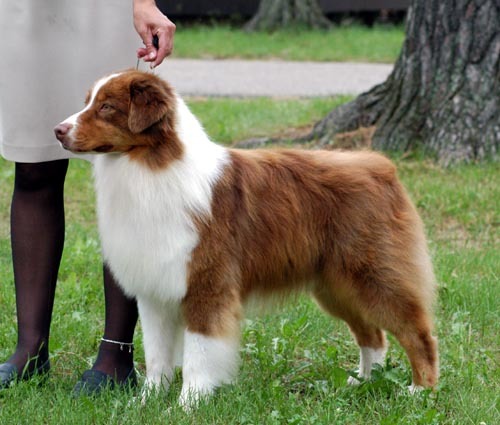 answer for dog breed Australian Shepherd was viewed by 1296 visitors. A puppy younger than a year can be fed with any high-quality dog food for puppies. It is recommended to continue feeding your puppy with the same food he has been receiving from its breeder because sudden changes in its ration can cause problems with the gastrointestinal tract. It is not advised to feed a puppy of Australian Shepherd with food remains. Never give your puppy bones or chocolate! A puppy has to be fed in so-called "free mode" – just leave its bowl with food. There is always has to be a fresh water. Watch the weight of your puppy to prevent it from becoming fat. Excessive weight in Australian Shepherds causes a significant damage to their body by not letting their bones develop. 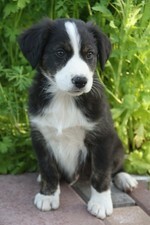 Answer for dog breed "Australian Shepherd"
RU: Как правильно кормить щенка австралийкой овчарки?